Friends of mine in Thailand (digitalay.com) have started sharing links and photos on Facebook of garbage in and around the ocean, using the hashtag #floatingdeath, derived from the title of my previous blog post. 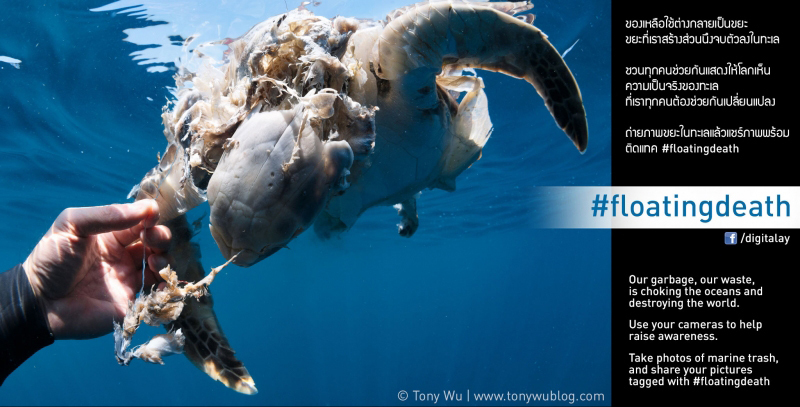 Now…I’m not naive enough to think a hashtag campaign on Facebook or any other social media platform will fix this problem, but I do believe that more divers should be taking and sharing photos of the trash they come across. We are the people who are fortunate enough to be on and in the ocean. We’re the ones who get to enjoy the beauty, but we’re also the people who are in the best position to shine a spotlight on the problem. If not us, then who? So please consider pitching in. 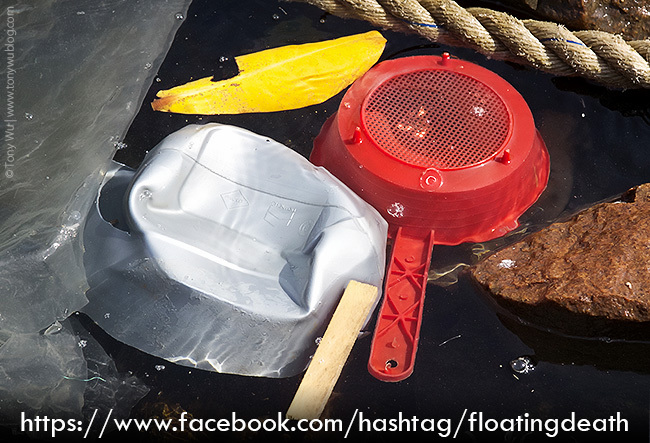 Take photos of trash in the sea, on beaches, etc., and post them to Facebook with the hashtag #floatingdeath for more people to see.